Community Corner - Local News & Updates on Facebook & Twitter. 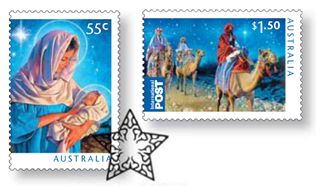 The 2011 Christmas Card Stamps are now available. 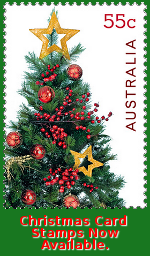 Call in now to get your 55c Christmas Card Stamps for postage within Australia and $1.50 International Christmas Cards Stamps for sending Christmas Cards anywhere overseas. 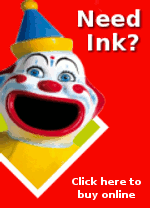 Express Post envelopes and Satchels are available for purchase at Patterson Road Tatts, News & Post. If you are a regular user of the Express Post network be sure to check out the bulk discounts available to you. A Lucky Christmas Scratchies Gift Pack can make a great reward for staff at your end of year function. Lucky Scratchies Christmas Gift Packs are now available and can be made up to any value of Lucky Scratchies. Patterson Road is on Facebook. Join us on Facebook and you can be kept up to date on all the latest local news. You?ll find the link to join us on Facebook on our website at www.pattersonroad.com.au. All of our Facebook news & updates are also relayed to Twitter, so if Twitter is more your thing then follow the link on our website to "Follow us on Twitter"